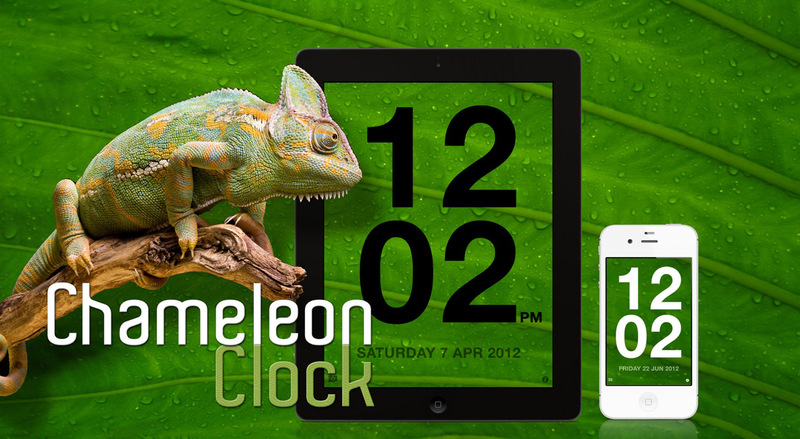 Say hello to Chameleon Clock - a big, bold, beautiful clock for iOS. 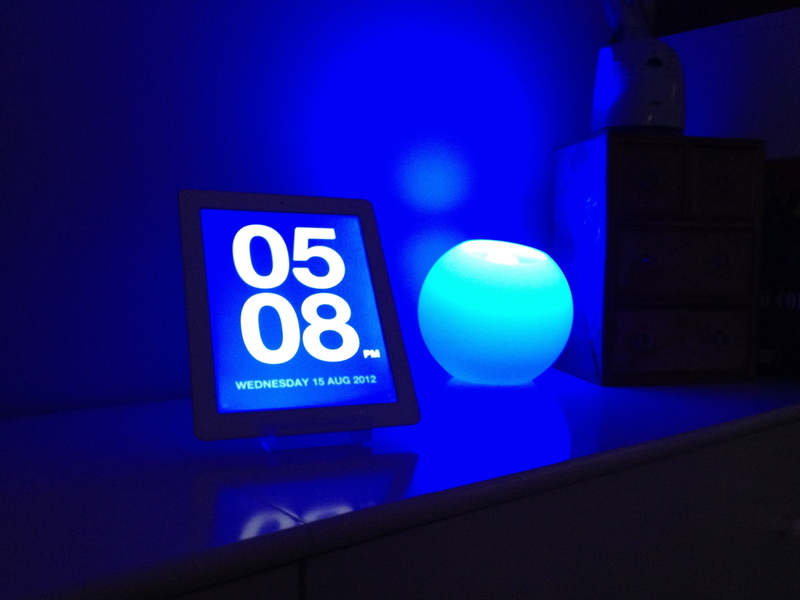 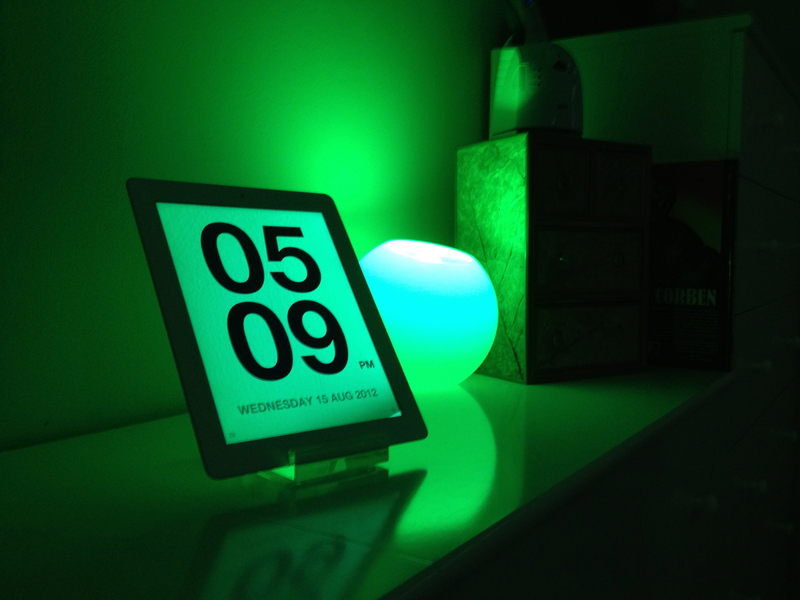 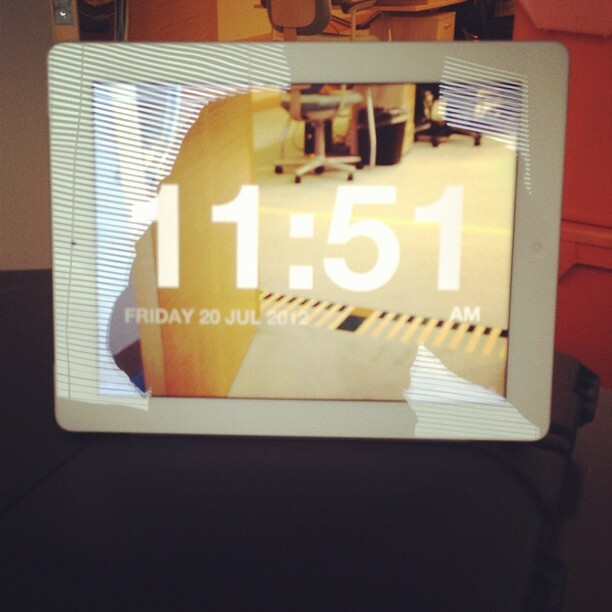 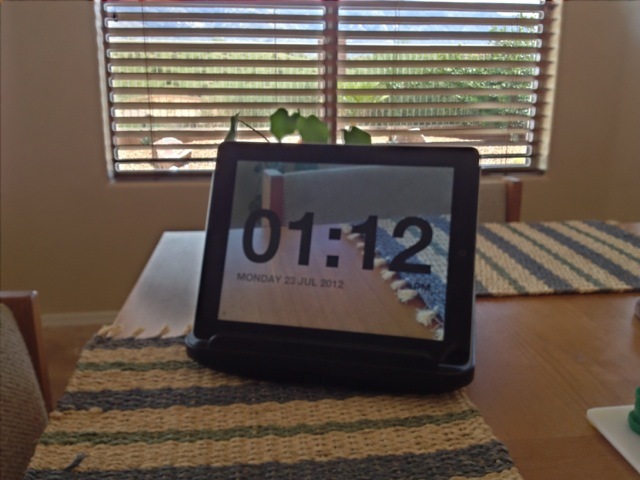 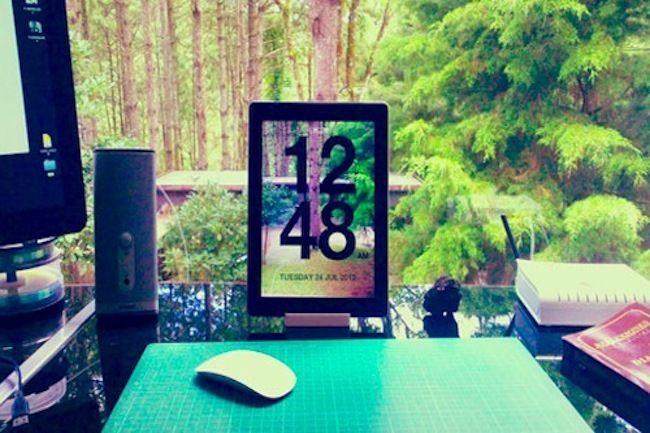 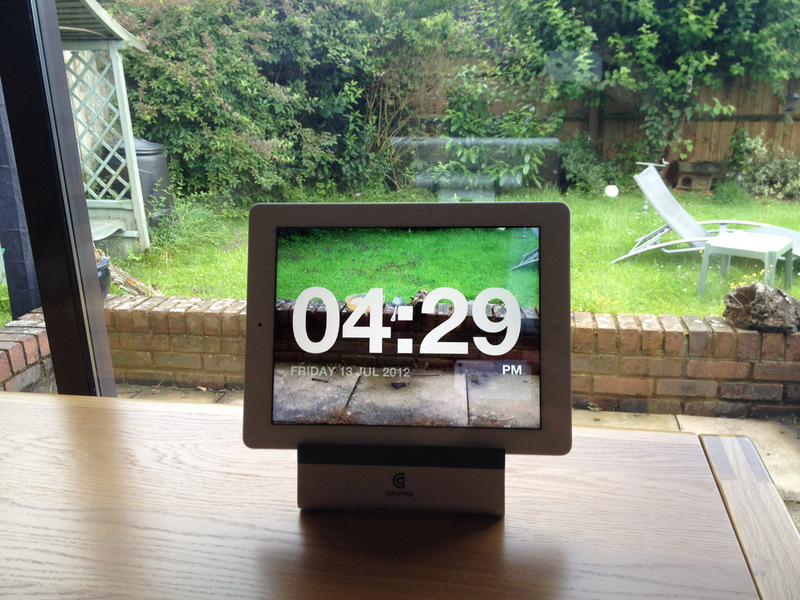 Chameleon Clock blends into your environment by using the camera on the back of your device to either sample the colour of whatever is behind it or, play a live video feed. 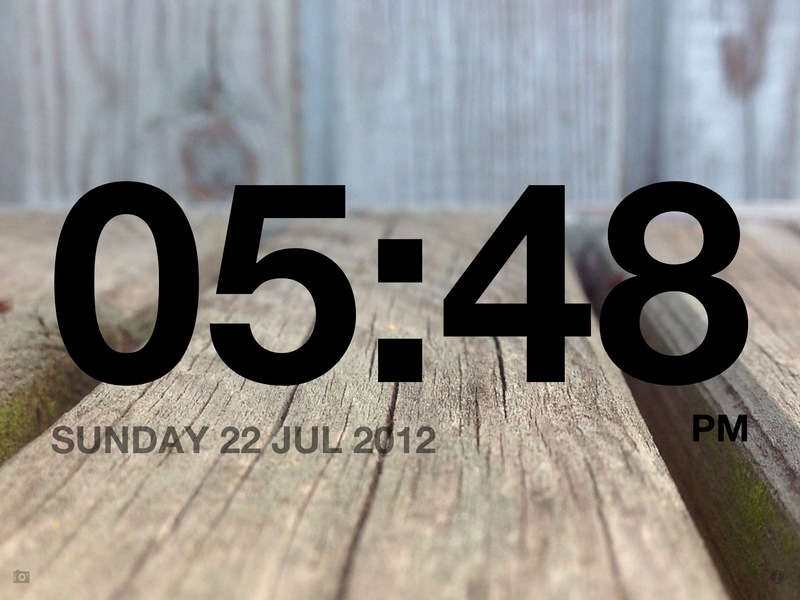 Toggle the time display between black & white to match your device with a simple tap and change its transparency with a swipe up or down - anything from jet black and pure white all the way down to barely visible for a more subtle effect. 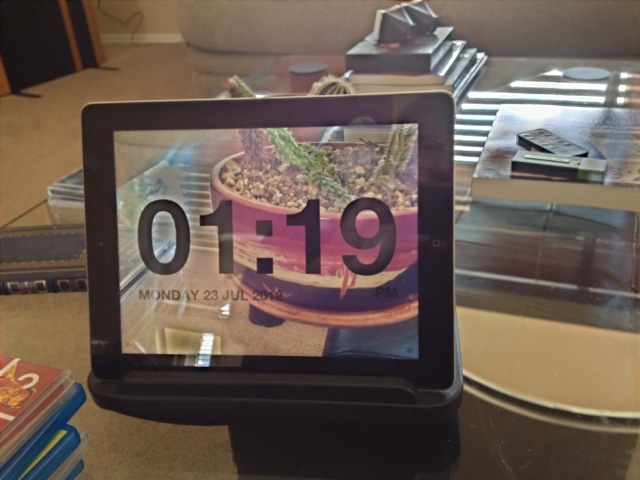 Tap the mode icon in the bottom left hand corner of the screen to switch between Chameleon Mode where the background colour of the screen is constantly updated to match whatever is behind it, and Live Camera Mode where the background becomes a live video feed.